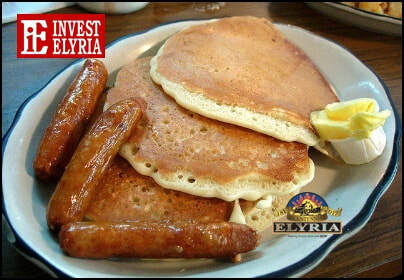 Invest Elyria is a 100% volunteer group. None of the board members, Executive Director or volunteers receive a salary. We have several projects/events planned for this year that include running the Elyria Farmers Market, Pancake Breakfast, Mobile Market, Small Business Saturday, Warming Drive with the crocheting/ knitting group called The Elyria Hookers. We also will be supporting/volunteering other city events and non-profit organizations like Elyria Pride Day, Memorial Day Parade, South Side Neighborhood Network, Our F.A.M.I.L.Y., Special Olympics Hoops at LCCC, and the Warm Angels Blanket Drive. In addition, we are looking for a new office location with it's expenses, insurance and supplies for the Elyria Farmers, and we now have the cost to operate and maintain a van(insurance, and maintenance) to help us move materials to venues,and for a pilot project of distributing food, hygiene products, and cleaning supplies to those in need with our Mobile Market. Some if not all of theses projects cost money to bring to fruition. That is where we hope that you will find it in your hearts to help through your generous donations to our organization. We do this for the benefit of our city, our local businesses and our residents. You can donate directly through PayPal or simply by using the businesses listed below to support us through shopping at the Amazon(Sign up for Amazon Smiles) and FlipGive websites. We are a 501(c)(3) non-profit organization so your donations are tax deductible. Please "Help Us Help" through your donation....Thank You! Help support Invest Elyria so we can continue to put on events like the Elyria Farmers Market (this year at the East Falls Riverwalk on Kerstetter Way), and run our Mobile Market Pantry by purchasing tickets for our Memorial Day May 27, 2019 Fundraiser.​ To the City of Elyria for your support-Thank You! Tickets purchased on line here will be waiting for you at the door the day of the breakfast. Children under the age of 3 free. Click on box below to choose number of tickets or to be a sponsor...Thank You! Invest Elyria is now signed up with ﻿smile.amazon please visit the site for information on how you can help to support us when you make any purchase using Amazon. Click on the logo above to go to FlipGive and start shopping...Thank You!